Getting more natural light into your home will make your home feel lighter and more natural. Natural light is better for our eyes, our productivity and our creativity. Relying on natural light also means fewer electric lights on during the day, which can help reduce energy costs. These simple tips will help you make the most of natural light in your home. While it’s true that wooden doors look classy, they do block the bulk of natural light coming into the home. When choosing a door, a glass door can be an excellent choice. Glass doors are available in attractive designs and if you spend some time looking at your options, you are sure to find something that fits your home design and your budget. 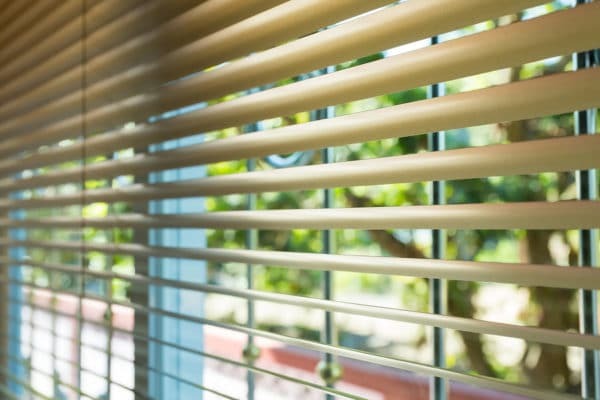 If your home has improper blinds and curtains, you could be missing out on tons of natural light in your home. Blinds by Westral can be easily pulled up during the day to allow ample amount to natural light into the room, while allowing for total privacy at night. Let the natural light into your home! Dark coloured walls absorb most of the light coming into rooms, leaving your house dim even during bright days. Choose to paint or wallpaper your rooms in light shades to reflect the natural light and help make the room appear brighter. Mirrors can work as an incredible source of natural light. Mirrors have zero absorption of light and they reflect every lumen of light that falls onto them. Strategically placed mirrors, like those placed across from windows, can reflect more light into the whole home. Sliding glass doors are a wonderful way to allow more natural light into your home and it can help you show off a beautiful garden or a pool. Installing these doors might require a bit of an investment, but the bright natural light will be worth the money spent. This post has been sponsored by Westral Blinds. Green Building Elements and Important Media (our parent company) choose to work with select clients for paid promotion on our network sites. This is the account for all paid content. For information about paid outreach, please contact our Accounts Manager Andrea Bertoli.